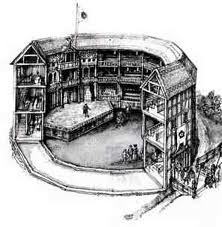 If you hadn't guessed it yet, this website gives you everything and anything you need to know about the Globe theater. Take a stroll through the globe theater, find out about the deep rooted history behind the it, the time period in which it thrived, and lastly tons of silly (but interesting) facts you probably will never need to know again. The infamous globe theater, home to Shakespeare's best and most well known productions, was first built in London, England in 1599. Born April 23, 1564, Shakespeare is known best for his literary pieces of work. He is a master with the pen, but did you know he was an actor as well? 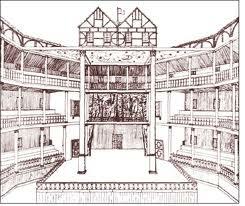 In fact, Shakespeare was very involved with the world of theater, both behind and in front of the scenes. He actually performed small roles in some of his own plays! Although most of Shakespeare's life is a mystery, we have been blessed with his writing! 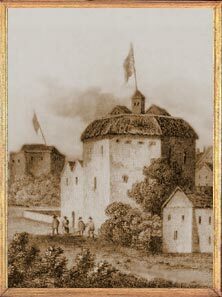 The Globe theater was a significant part of Shakespeare's career, and if you've been dying to find out more, this is the place! "As in a theater, the eyes of men, after a well-graced actor leaves the stage, are idly bent on him that enters next."